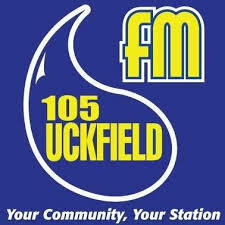 Tune in to hear Chris talking to Lyn Buckingham on Uckfield FM the last Thursday of every month at 11.30am. Special Christmas edition includes one of Chris’s team, Steve Veal. beds and get garden into shape. Prune any diseased, downwood or dying branches off trees and bushes, cutting at a 45 degree angle to allow any water to run off. This will create air and light. Never prune more than 30%. Plant up winter pots eg: Phormium (evergreen) for architecture, Scimia, Cyclamen and bulbs such as tulips, Daffodils, Crocus and Lily of the Valley. Use plenty of broken crockery for the base, remove top 3rd of compost and replace with fresh compost and grit, then mulch with organic matter and bark chips to finish. This will soak up excess water in winter, keep moisture in over the summer and slow down any weeds. 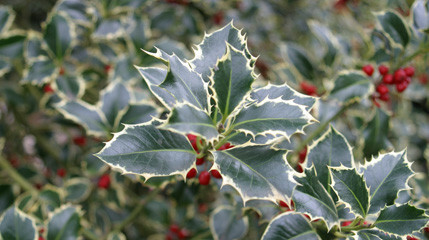 Create your own Christmas decorations (wreath or table decorations) with prunings from your garden ie: Ivy, Holly, spare Xmas tree pieces, fir cones, Misletoe and Christmas Rose.